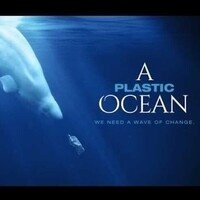 Did you miss the free showing of the film A Plastic Ocean in July? Your in luck! Join us for a free encore showing of the film A Plastic Ocean to learn about how plastic is harming our oceans and marine animals. The movie will be shown at The Big Green Screen Theatre located in the Tom Ridge Environmental Center and is sponsored by S.O.N.S. of Lake Erie. Seating is limited to 175 people. Please RSVP by calling the Big Green Screen Theatre at 814-838-4123.